With winter wind whacking at your windows and chilling gusts approaching, what is more fitting than watching a Netflix original horror? Before watching The Haunting of Hill House, I was sceptical toward a horror themed TV show. Because let us be honest, more often than not, these shows and their plot lines become cheesy and ludicrous. However, that was not the case with The Haunting of Hill House as I’m sure those of you who have already seen it, can certainly agree. 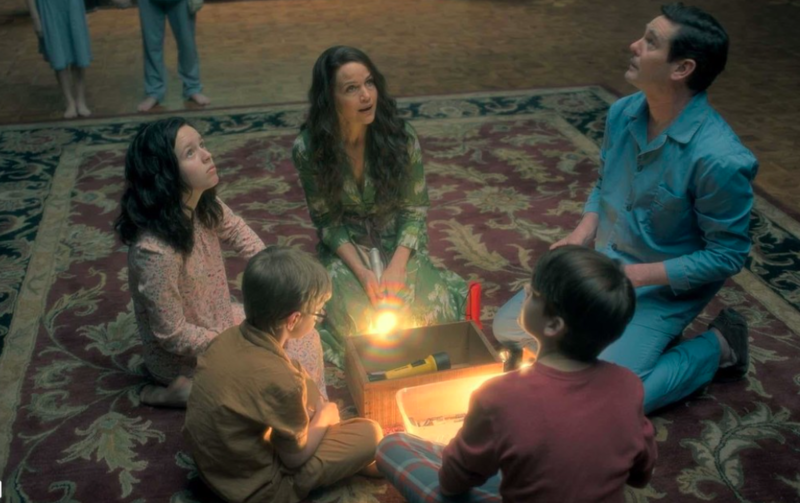 Centring around the Craine family, a family that had been plagued by the house twenty years prior, the show explores life after their supernatural experiences. Is this family haunted? Or is there some type of mental vulnerability at play? These are two of the key questions that thrash around in your mind as you watch, gripped, with your bum resting precariously on the edge of your seat. Made up of seven main characters, the narrative constantly flashes between past and present and switches between siblings who unveil their traumas and how they have tried to unsuccessfully heal their scars. For Luke, this is by avoiding his past, poisoning his body with drugs. Whereas for Steve, his older brother, he shields himself from the past, convincing himself that his whole family is mentally ill. But no one can hide from their past forever, something Steve comes to terms with in the final episode. Alongside this trauma, each character must cope with their own mystical power. It could be argued that in some ways these powers are what cause the hauntings in the first place. * Spoiler alert. * For example, Olivia has a premonition about the twin’s bleak futures which makes her vulnerable to spiritual attack. Similarly, you may recall Nel’s premonitions of her own death. 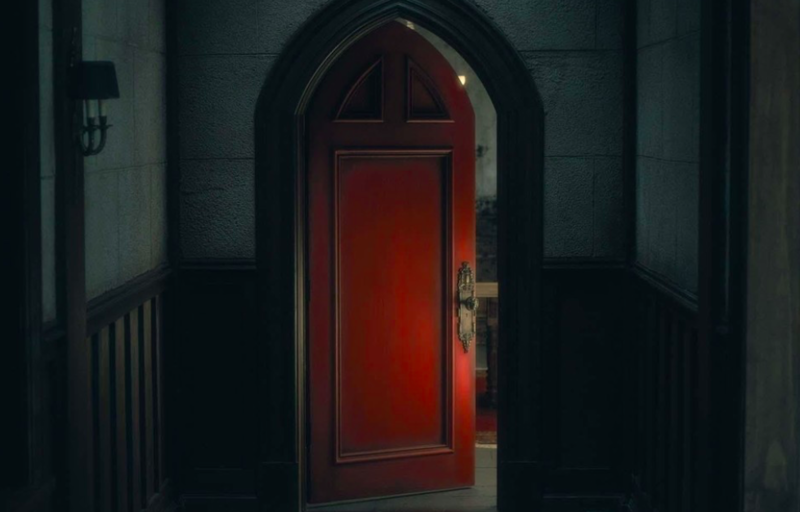 The most beautiful part of a horror story is not the jump scares – although there are some truly superb ones – it is the symbolism and entwined themes that embed themselves in the narrative. * Spoiler alert. * One example of this – and of course my favourite – would be the use of the colour red in flashbacks. Those that have seen it already will remember the red room: a room that materialises itself to be whatever the individual wishes it to be, whether this is a treehouse or a dance studio (what would you wish it to be?). Each time this room manifests, there is some subtle object that is red to signify that the individual is in the red room. This colour is often representative of danger, something that is particularly significant as the room is described as “the stomach of the house”, a room that seeks to devour the family. It is small trinkets like this that make The Haunting of Hill House so terrifying. Happy watching and may the bent neck lady haunt your dreams! ← Exclusive Review: Brooke Law @ Century Club, Soho.